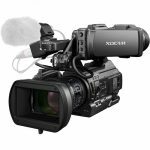 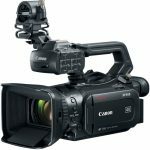 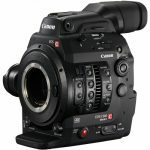 Canon’s EOS C200 EF Cinema Camera features a built-in EVF, 4″ LCD screen, top handle, Super 35mm CMOS sensor, and Dual Pixel Autofocus. 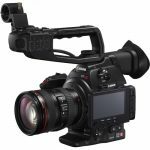 The EF lens mount on the EOS C200 offers compatibility not only with Canon’s existing broad range of DSLR lenses but also with their line of EF-mount CN-E cinema prime and zoom lenses. 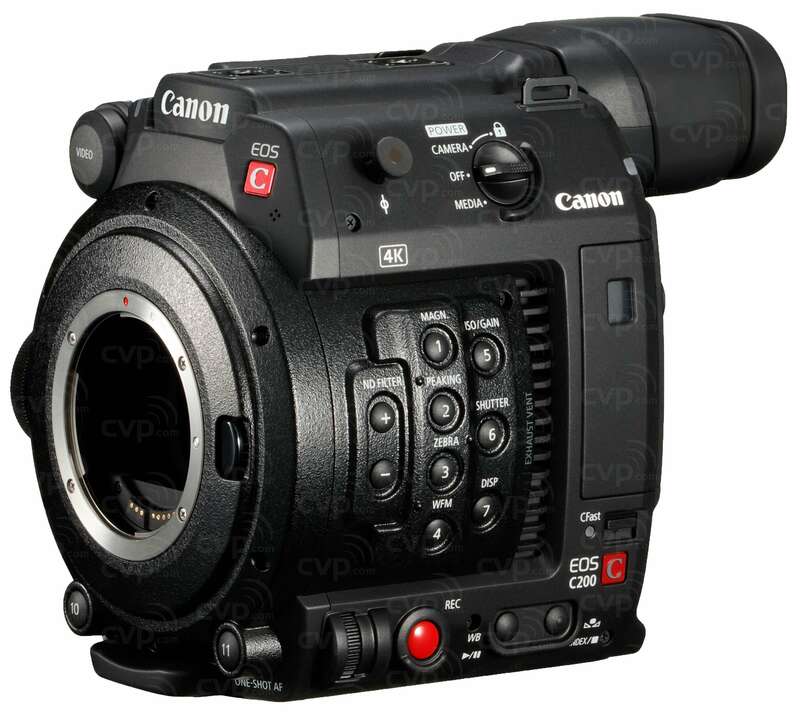 The Super 35mm sensor is paired with Canon’s Dual DIGIC DV 6 image processor, allowing it to capture and record up to 4K DCI resolution. 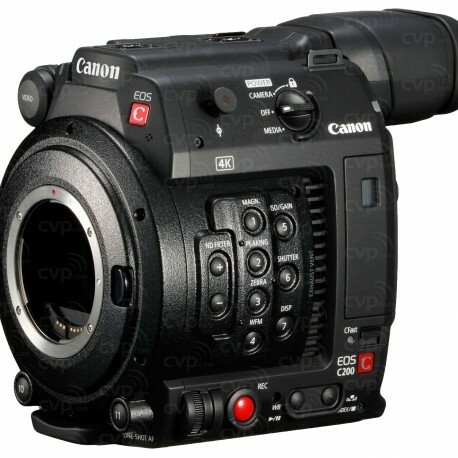 The C200 can also record Canon’s Cinema RAW Light internally via its single CFast card slot. 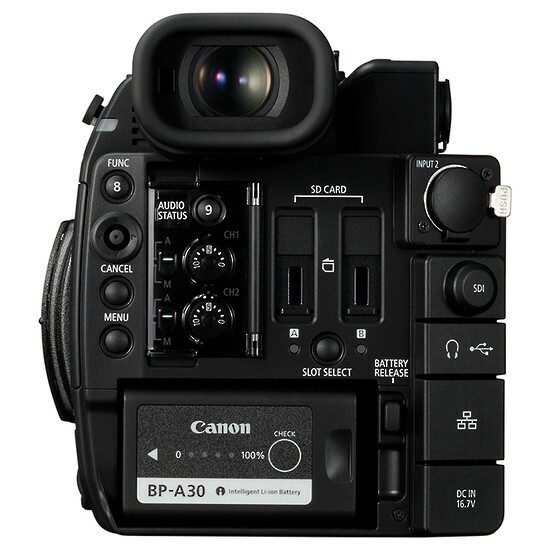 The camera also incorporates two SD card slots for recording 4K UHD/HD MP4 video.